Ask fellow campers about "Sweetwater Lake Campground" and nearby attractions. Stayed overnight. Sites aren't numbered and not many have 50amp. Sites are very unlevel. Close to I-26 and easy in and out. Only worthy of an overnight stay. We camped at Sweetwater Lake Campground in a Motorhome. We gave this park a 10 based on serenity. We are in our 70's and not looking for pools or activities. A nice walk is great. The owner is very nice and anxious to please. The sites are not level. We carry boards because a lot of places aren't level. 4 sites with sewer. The area is kept clean and manicured. There is a communal fire at night, if you choose to go. The lake.....it is pristine with fish jumping and birds singing. A little piece of paradise. We loved it and will go back for a longer stay. We camped at Sweetwater Lake Campground in a Fifth Wheel. Nice for one overnight. Easy off/on from I-26. We could not get level no matter what we did, we backed in, drove in, and finally ended up parallel to the road. We were still not level, but gave up, it was only one night. You pull in, pick a spot and pay via the honor system. No sewer at site, but dump station near laundry/restrooms. All sites have a lake view, owner on site, seemed vigilant at keeping out non-campers. We camped at Sweetwater Lake Campground in a Motorhome. Nothing around for restaurants, go prepared to stay on the grounds. This park is strictly just for an overnight stay. Be prepared there is no level ground to be found. You just drive up to the connections on the grass and do the best you can. They did have 50 amp service and water. No cable or dump connections. It was quiet and the owners were very friendly. I would recommend this place for an overnight stay and I would stay here again. At first I was not sure what we were going to find. 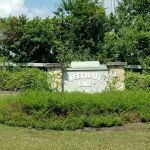 It is close to the interstate and very easy to find. Hope this helps you. I always depend on reviews so I speak only what I think. We camped at Sweetwater Lake Campground in a Fifth Wheel. What a best kept secret, I don't want to share! If you are traveling I-26, this is a great overnight stop, with a Pilot on the road leading to this CG. There are only water & 30 or 50 amp hook ups. Since no one was there, the owner came out to greet us & guide us. We are in a 41 ft MH with tow and the road you have to go around was a challenge; I can not picture getting through it if its raining a lot. What you can do is stop prior to getting to that point, unhook your tow, back into an empty spot you want & then walk down & pay- its an honor system. There is a lovely private lake and its so quiet. It was a great stop over. Big rigs need to be aware of the branches overhead and I would not attempt the loop around road in the rain, back in your chosen site instead. We camped at Sweetwater Lake Campground in a Motorhome. Very nice place to make a stop while traveling, far enough from I-26 to get away from the Hwy noise but close enough to make it easy access on and off the interstate. The lake is beautiful and the owner is a character that if you get the chance to meet will make you feel welcome to his little piece of heaven. Camping is on the honor system, drop your money in the box (cash), sign into the book and find you a spot. Pulling into the driveway your not sure what to expect. Go towards the house and circle the small white building to take you back to the site of your choice. You will pass the dump station next to the fence. There are two fire pits, one next to the white building and one next to the lake, bring your own firewood. This is such a relaxing place to stay after fighting Hwy traffic all day, you might decide to do an extra day. No check-in or check-out times so get on the road when your ready. Looking forward to spending another night there. We camped at Sweetwater Lake Campground in a Fifth Wheel. Fishing, relaxing, petting the donkeys. Orangeburg is about 10 miles away. Very beautiful, quiet and serene with a beautiful front row view of Sweetwater Lake. All spaces are parallel to the lake. A small campground, lots of room. Owners live on premises, it's remote and no frills. My husband caught a few lovely bass from the lake. Highly recommended. Here with our 2 puppies in our 37 ft. 5th wheel with 4-slides. We camped at Sweetwater Lake Campground in a Fifth Wheel. We arrived after dark & left before daylight. This was simply an overnight stop on our way south. Unlike some others I found the campground sufficiently lit for setting up with the help of a flashlight. The sites were flat enough that we didn't need jacks. Each double-site has a 20a, 30a & 50a hookup & 2 water hookups. There is no sewer but there is a dump station. Restrooms were what I'd expect for a small campground, block walls, tile floors. My only criticisms are: 1. No toilet paper 2. No heater 3. Only 1 each men & women - potential wait for the toilet. 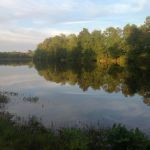 We camped at Sweetwater Lake Campground in a Travel Trailer. We came in after dark which was VERY difficult. There were light polls, but the lights weren't on. Sites aren't marked in any way, just utility poles sticking up here and there, and when someone came out of the house to greet us, they just said "$30 please - pick any open spot". The turn-around is just on grass behind the restroom building. Water & electric only. The rest room was small, run down, poorly lit, with a half-wall open shower that appeared grimy & dirty. It is sitting on a lake, but no internet, no laundry, no picnic table or fire pit. We camped at Sweetwater Lake Campground in a Motorhome. It was OK for a cheap place to crash for one night, but I certainly couldn't recommend it. Out of the way, requiring several turns on county roads with no street lighting. Much different than what we have used in the past. It's actually an unstaffed campground and paying is on the Honor System. The campground is alongside a lake. Sites are =============. Utilities can be accessed from either side. The campground is actually much closer to St. Matthews and not Orangeburg. Come fully prepared because there is nothing at this location. They don't allow South Carolina residents to camp here, but how they verify that is anyone's guess. 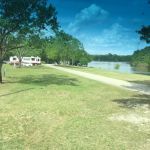 We camped at Sweetwater Lake Campground in a Travel Trailer. Pulled in for one night and was met by the owner who lives on the property. The area was very rural and grassy. We were told to select any site. They had a dump station but no sewer. Drinking water was poor tasting. One other site was being used. Night time lighting was poor with maybe one lit pole. As it was one night this was sufficient for us. There was a small lake and some kids were swimming in it but we were there for the convenience. We camped at Sweetwater Lake Campground in a Fifth Wheel. Honor system. Very pretty setting. We camped parallel to the lake. No contact with owners since it was a brief overnight stay. New fencing underway. Beautiful pony greeted us in the morning in pasture behind the camp. Once they invest in restroom upgrades we would stay there again. We camped at Sweetwater Lake Campground in a Truck Camper. Park has very few perks, but is convenient and quiet. Sites are a challenge to level but can be done. Used to be PPA but not affiliated anymore. Great overnight stay. We camped at Sweetwater Lake Campground in a Fifth Wheel. 7 miles to fast food and Cracker barrel. Fuel is 2 miles on the way to the interstate. Verify 50a or 30a before setup. The boxes are not marked. Also the owner is on premises but money is paid in a lock box at the bath house. Thee is a dump station that is not the best to access. Great place for a one night while traveling. You are on the honor system to pay. Great turn around the back side of the shower house. We went around the back and proceeded on the grass to get turned around. Not that far off of Route 26. I only gave it a 8 because the sites are not that level. But we were able to pull through the site longways instead of backing in. We used two sites. More level that way. Owner was very OK with us doing that. Another RV came in and pulled through the same way. It has a beautiful lake and well taken care of. Sites are very wide if you were backing into them. There is only water and electric but campground has a dump. We will stay there again, while passing through. This campground isn't in the camp books. We camped at Sweetwater Lake Campground in a Motorhome. As noted previously this is not a destination campground. It appears to have been an old farm where the owners have set up a string of sites in a spacious grassy area over looking a beautiful lake. 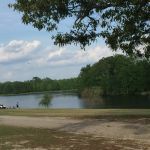 It is one of those picturesque settings like you see in RV sales magazines parked on a lake and the view is great to just sit out and enjoy the serenity. Very easy get in for even the big rigs. Pull up, set up and walk to the end of the campground and drop $25 in the box. Most likely you will not even see the owners who live in the house sitting on the lake. It is a great overnight-er when traveling pass on 26 in SC. We have stopped here many times over the years. I give it a 10 because it meets our expectations for what it is intended. For a one night stay over it is great. Also the Sprint service in the area is a strong 4G. We camped at Sweetwater Lake Campground in a Motorhome. 7 miles to fast food and Cracker barrel. Fuel is 2 miles on the way to the interstate. Verify 50a or 30a before setup. The boxes are not marked. Also the owner is on premises but money is paid in a lock box at the bath house. Thee is a dump station that is not the best to access. Are you affiliated with Sweetwater Lake Campground ?